Celebrate Need for Speed’s 24th birthday with a week of great gifts. New quick races, a chat wheel, and more – find out what’s coming in the latest Need for Speed Payback update. New to Need for Speed Payback? Check out this owner’s manual on how to kickstart your racing career. EA Access and Origin Access members get tons of awesome games and exclusive early trials. All cars can reach level 399, Speedlist collision has changed, quick races are yours to create, and more in this Need for Speed Payback update. Get the details on Castrol Titanium Trials, two new cars, Alldrive activities and more in this Need for Speed Payback March 2018 update! All the info on what changes were made in the February patch. See the details as Alldrive comes to Need for Speed Payback in this February 2018 update. New game mode, new cars, new features and more! As our official style advisers ASOS helped develop the fashion of NFS Payback. The Launch Trailer for Need for Speed Payback is here! Kick off Need for Speed Payback early on Nov. 2, 2017 with Play First Trial on Xbox One with EA Access and Origin Access on PC. Check out the entire Need for Speed Payback car list, and how much they'll cost. See the new Need for Speed Payback parts including custom horns for your car. Friend or foe? Learn more about the characters you'll meet in Fortune Valley in Need for Speed Payback. Playing with yourself gets boring after a while, let's talk multiplayer Speedlists in Need for Speed Payback with Under the Hood. See the Need for Speed Payback minimum and recommended PC requirements. Need for Speed Payback Cops, Cops, Cops! Find out what to expect as we go Under the Hood with details of Need for Speed Payback at Gamescom from August 21 – 25, 2017. 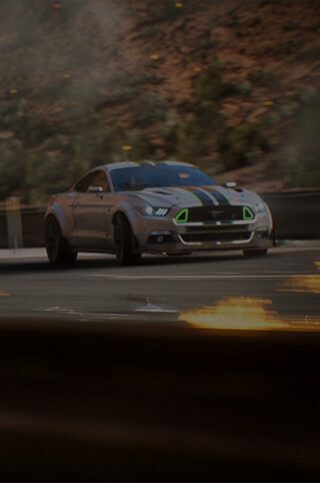 View the five unique car classes in Need for Speed Payback including race, drift, drag, off-road and runner, a car for all occasions. See the details of the new car type, Derelicts where you take your dream ride from scrap to stock to supercar in Need for Speed Payback. Find out more about fine tuning your handling on the fly to get your car feeling just how you like in Need for Speed Payback. Find out more about owning multiple garages and visiting part shops, dealerships and gas stations in Need for Speed Payback. Collect, win, or buy the hottest after-market parts and craft your dream ride with performance customization in Need for Speed Payback. Take your customization to the next level with vanity items like Underglow, custom Nitrous and Air Suspension in Need for Speed Payback. Check out some of our favorite community gameplay and customization videos from EA Play including Nissan 350Z Customization and more! Watch the latest Need for Speed Payback Gameplay Trailer now! Find out what to expect as we go Under the Hood with details of Need for Speed Payback at EA Play in Hollywood from June 10-12. See the Need for Speed Payback pre-order offers on PS4, Xbox One and PC and watch the trailer. Worldwide release date on Nov. 10, 2017.